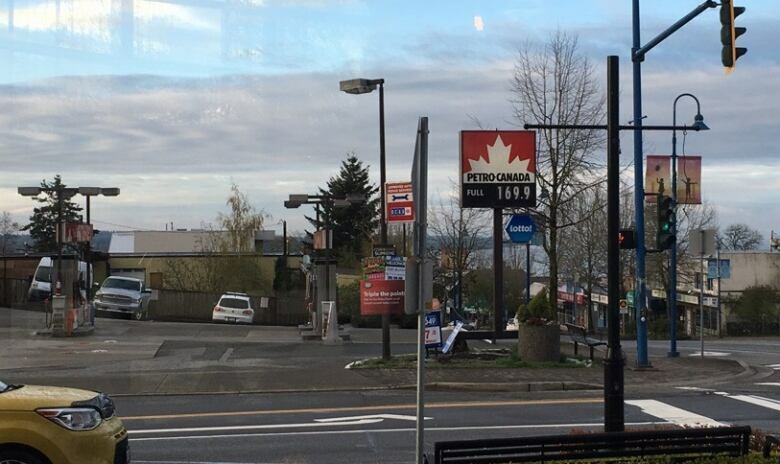 More British Columbians may have been considering buying an electric vehicle this week, with gas prices soaring and new laws introduced requiring that all cars and trucks sold in the province be zero emission by 2040. More British Columbians may have been considering buying an electric vehicle last week, with gas prices soaring and new laws introduced requiring that all cars and trucks sold in the province be zero emission by 2040. 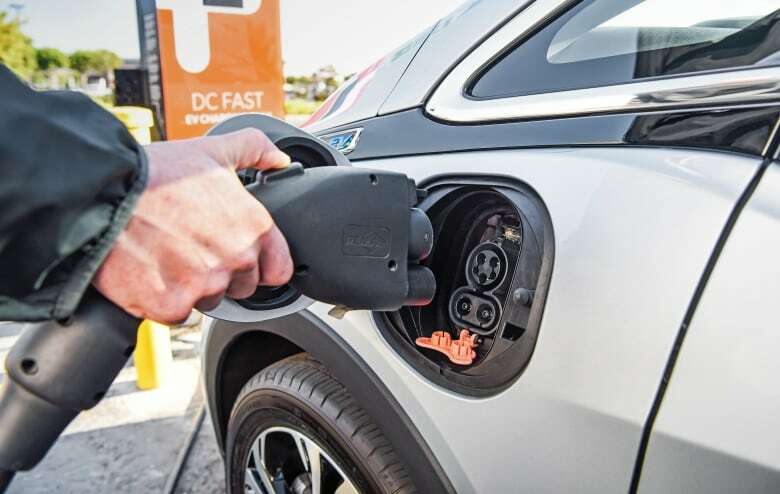 But with that consideration comes questions about the future of electric vehicles in the province — and the infrastructure to support them. That includes everything from charging options to whether BC Hydro can handle the demand for extra electricity that more e-vehicles will bring. Hydro predicts there will be at least 300,000 fully electric cars on the roads by 2030. "It's something that we have been planning for in terms of our load forecast," said Mora Scott, a spokesperson for BC Hydro. "We are continuing to expand our system but we do have more than enough power for this." As for concerns around the range of electric vehicles and charging them, B.C. 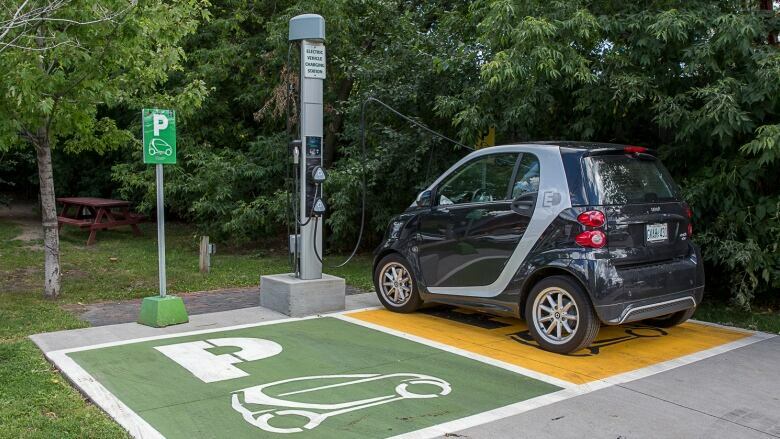 already boasts more than a thousand public charging stations, from Tofino to the Alberta border. Scott told CBC'sThe Early Edition that BC Hydro also has 58 fast-charging systems across the province — which will charge a car's battery to 80 per cent capacity in about a half hour — and is looking to add more, particularly heading north toward Kamloops and Prince George. There is also a network of Tesla superchargers. In any case, 80 per cent of charging happens at home, Scott says. "What a lot of people don't realize is all it requires is actually your standard 120-volt outlet," she said. An eight-hour charge is enough to power an electric vehicle for a range of about 40 kilometres. "That might not sound like a lot, but 94 per cent of all car trips across the province are actually less than 30 kilometres," Scott said. The prevalence of overnight charging helps take some of the pressure off the network in terms of power demand, she explained, because it happens at a time when most other electrical appliances are turned off. Increasingly, charging stations are being introduced at workplace parking lots and new condo buildings. However, for those relying on free street parking or who live under strict strata rules, charging can be a bit more of a hassle — like for one Vancouver couple who found they had to park and charge their electric car a 10-minute walk from their home. The infrastructure may still be patchy, but Scott says the potential savings of driving electric remain tempting. "The prime motivation for buying an electric vehicle would be to save money on gas and maintenance and, obviously with the rising gas prices, that makes a lot of sense," she said.